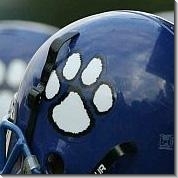 Send in your 2012 Bothell Football newspaper articles. We will post them here. We're looking for clipping or old photos from old newspapers about the team (Bothell Reporter, Seattle Times / PI). Take photos or scan them and send them to us. Alum Johnny Hekker nominated for NFL rookie of the week!